With the Redskins cap penalty preventing huge free agent moves, the team is forced to lean more heavily on their in-house guys and develop their young talent. In these segments, I will be taking a look at the players who have a chance and the opportunity to make an impact on the team this season. This is term NFL offenses use to describe what a speedy deep threat wide receiver can do to a defense. And even though Aldrick Robinson only had 11 Receptions for 237 yards for 3 touchdowns last year this is exactly what he did. 2 of the 3 touchdowns were from 50+ yards and had varying impact on the games in which they were made. But it was the plays in which he did not get thrown a ball that Robinson made the most impact, with his routes always seeming to catch the attention of Safeties and making other big plays possible for Garcon, Moss, and yes even Mr. Underachiever Leonard Hankerson. Aldrick Robinson is a premier example of what can happen when players are given a true opportunity to develop in the system, and take advantage when they get the chance. 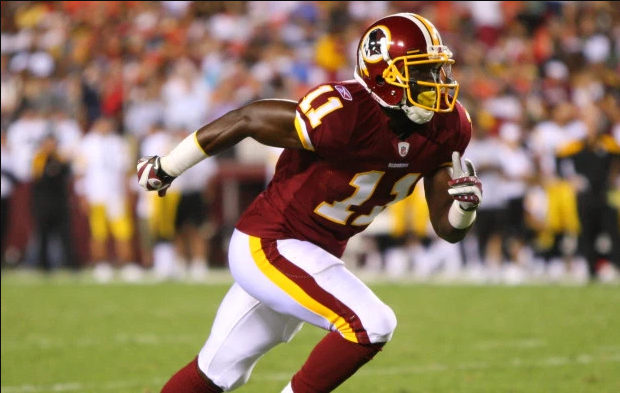 Robinson was drafted by the Redskins in the 6th round of the 2011 NFL draft out of SMU, but he ended up being signed to the practice squad instead of the final 53-man roster. This was the best thing for Robinson, He was explosively fast and had really impressive route running ability & hands but lacked overall size. He was dubbed by coaches as a project player and a possible replacement for the aging Santana Moss. For 16 weeks on the practice squad Robinson flourished, he took full advantage of the coaches and video sessions made available to him. He learned the Shanahan’s system but more importantly he became a versatile player, doing everything from returning punts and kickoffs to mimicking players like the Eagles DeShawn Jackson. His level of commitment was unwavering normally coming in before 7am to begin his day. All that hard work and dedication finally paid off in the last week of the 2011 season, as the Torain Train left the station for the final time and Robinson got the call up and was added to the active roster. He was hungry to keep on the active roster and took that mentality into the 2012 training camp. He had an active competition with Brandon Banks for the punt returning duties, but caught the eye of Mike Shanahan with his 49 yard catch and run for a touchdown in the second week of the pre-season against Chicago. Shanahan saw the potential in Robinson and he made the team. During week 1 of last season after Pierre Garcon had to leave due to injury, he made an immediate impact catching 4 balls for 53 yards including a 5 yard touchdown in the second quarter. He had a similar game in week 2 against the Rams, but dropped a crucial 57 yard pass that was right in his hands. In week 4 he was involved in a pre game warm-ups collision with safety Brandon Meriweather that lead to Meriweather hurting his knee and Robinson getting a concussion. He was then used in different packages to spread the field catching a few passes here and there but his true impact was felt in week 11 catching a huge 49 yard touchdown pass against the Eagles and then did it again the next week in Dallas on Thanksgiving grabbing a beautiful 68 yard touchdown. These are the kind of plays the Redskins will rely heavy on in 2013, plays that exploit holes in opposing defenses and provide the offense with a spark and momentum that carry over into the following weeks. 4 of Robinson’s 11 receptions on the year went for 28 yards or greater. 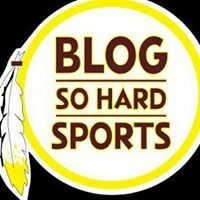 With the run game firmly established with Alfred Morris, Robinson should find many chances this season to use his speed to get behind the defense. His ability to stretch the field should be huge this season. 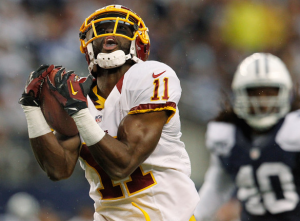 The opportunity is there for him to step up and have a big impact on the Skins offense this year. Aldrick Robinson is a difference maker and a young player who after 2 years of development is going to make a difference in 2013.